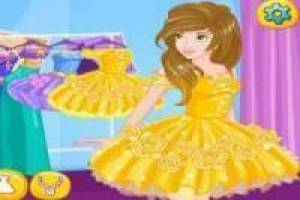 The famous Disney princesses have to adapt to the new times and that is why they are going to dedicate themselves to much more contemporary works. It is clear that they are very famous and now all the magazines want to get them on the cover, as fashionable influencers that they are. We will have to start with the first of our princesses, Ariel. We will choose a nice dress, a necklace, and we will apply makeup. Once ready it will be the turn to make the photo and create the cover of the magazine. She is not alone, we can also do the same with Bella, Elsa, Cinderella and Rapunzel. All of them are going to be covers of a magazine that you yourself will create in this fun game. 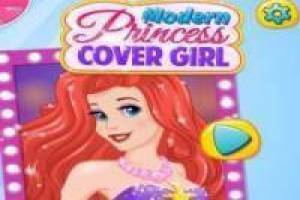 Enjoy the game Disney Princesses of Magazines, it's free, it's one of our disney princesses games we've selected.